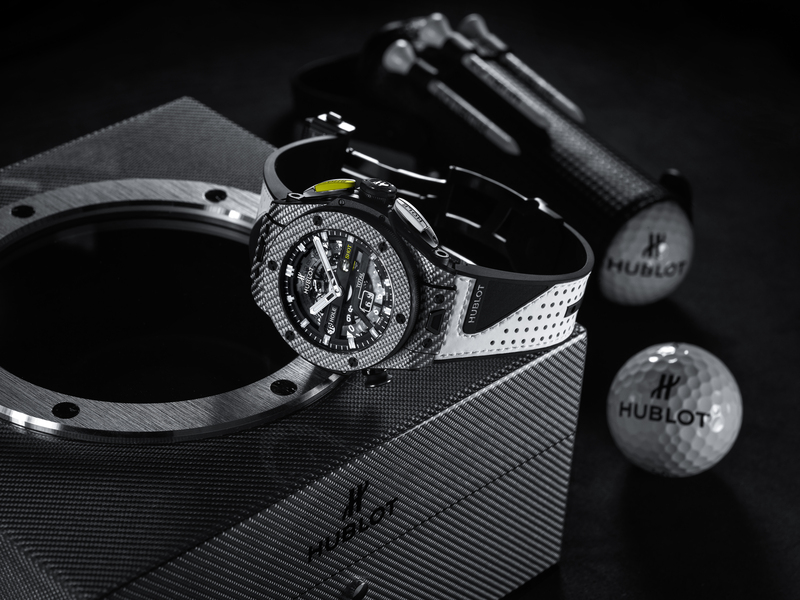 TimeZone : Hublot » BB Unico Golf, a "Stroke of Genius"
Hublot has modified its Unico movement to introduce of the ultralight first mechanical golf watch w/ aperture display. Both the watchmaker and the sport embody a dedication to precision which makes this particular model a perfect fusion of the two. 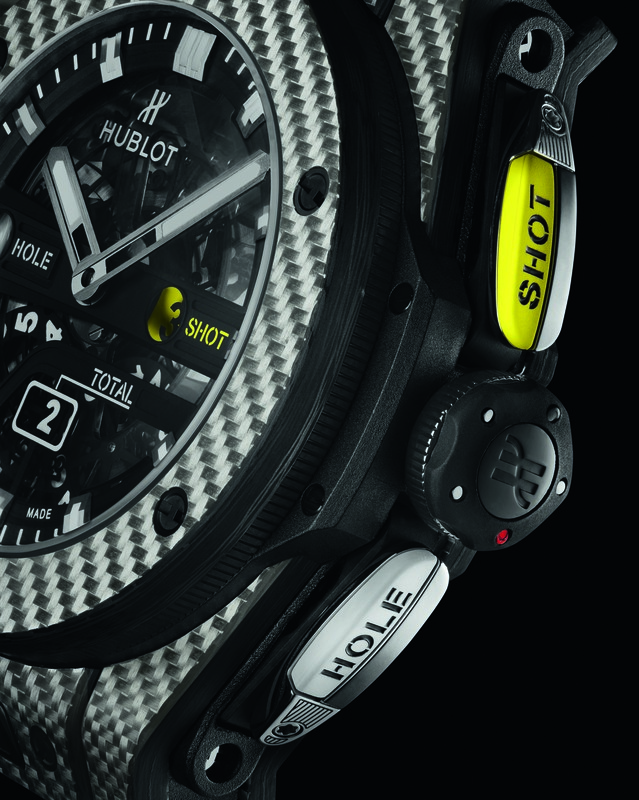 In place of the Unico chronograph complication Hublot has designed the watch to track the current hole being played, the shots taken on that hole and the running total for the round. 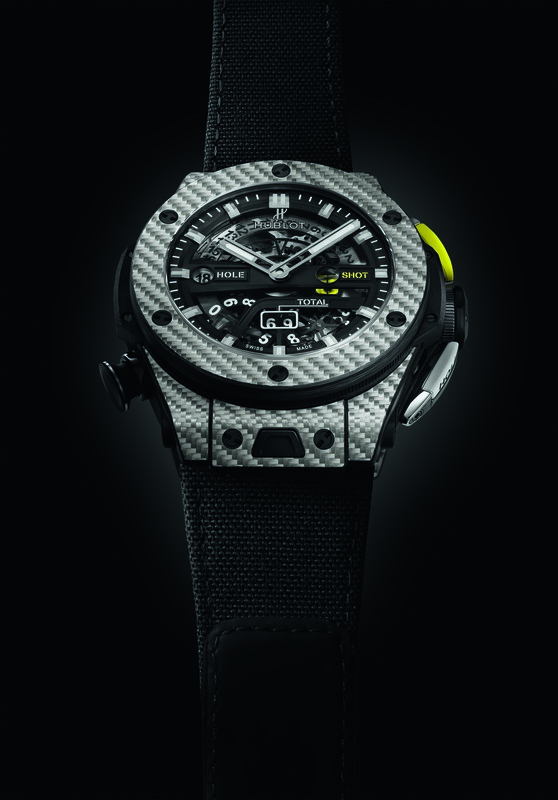 It weighs only 97.93gms due to its use of Texalium, hublot's proprietary amalgam of carbon fiber and aluminum. Notice, too, the band that is designed to match a typical golf glove. 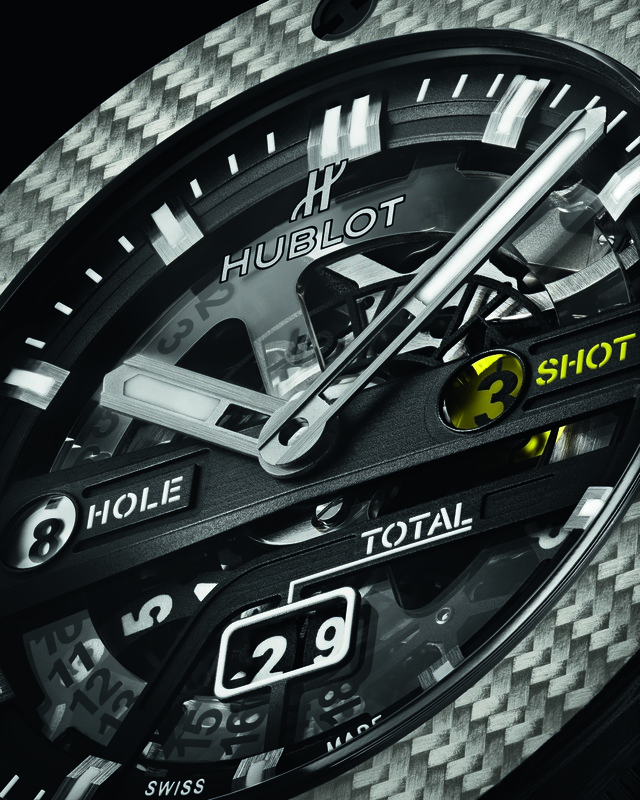 On hand was world's most precise golfer, world #1 and Hublot ambassador Dustin Johnson . Next Topic: Rainbow Sapphire: For the "man who has everything"